Do you accept reservations on your website yet? If not, you could missing out on a lot of party and event opportunities. 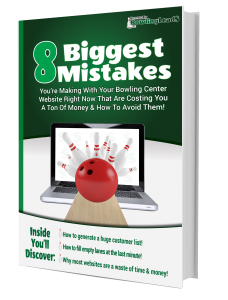 Before you dismiss and say…﻿﻿﻿﻿"I can’t manage my availability"﻿﻿﻿﻿ or ﻿﻿"It’s too expensive to book ﻿parties﻿ online"
We’ve heard you loud and clear over the past few years with your disappointment in many of the tools currently available to bowling centers to help them manage online reservations. We’ve recently partnered with a online reservation company that brings an amazing tool to your center for under $70 a month! 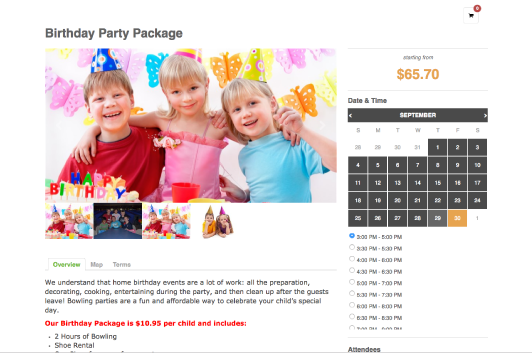 That's less than the cost of booking one extra party a month! One member booked almost $4,000.00 of business in their first month! Many others nearly $1,000! These are parties and events you are missing out on because they book elsewhere, before you get a chance to call them back or they give up on bowling as an option. That doesn’t even take into consideration the dozens of other ways you can utilize this great system like getting pre-paid reservations for glow bowling or booking open play packages or New Years Eve reservations. Yes PRE-PAID so you know you’ll have business and you aren’t left wondering if you’ll be busy. This tool also beautifully integrates with your Facebook and social media presence. Centers that utilize online booking have discovered that the majority of parties are booked after their sales team has left for the day. If you don't have someone available to book parties during these times, theres a good chance you're leaving money on the table! The system also helps you generate more revenue per party with an automated up-sell process. Even the best sales people don't up-sell every party, but with an automated system like this, it happens every single time!